In this holiday-themed comedy for the family, Mr. Covington is a man who tries to make time for his family despite the demands of his job. 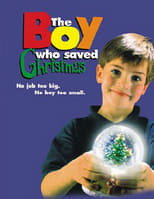 But sometimes Covington's boss prevents him from keeping the promises he makes to his kids, and when he misses spending Christmas with the family, an elf named Randy -- who is easy to spot due to his unusual height (he's six feet tall) -- decides to teach Covington a lesson by turning him into someone else who has to work on Christmas -- Santa Claus. Covington quickly learns the true meaning of both "Christmas" and "Busy" when he has to deliver goodies to every child on Earth and round up some stray burglars, as well as penciling in a bit of quality time for his children.